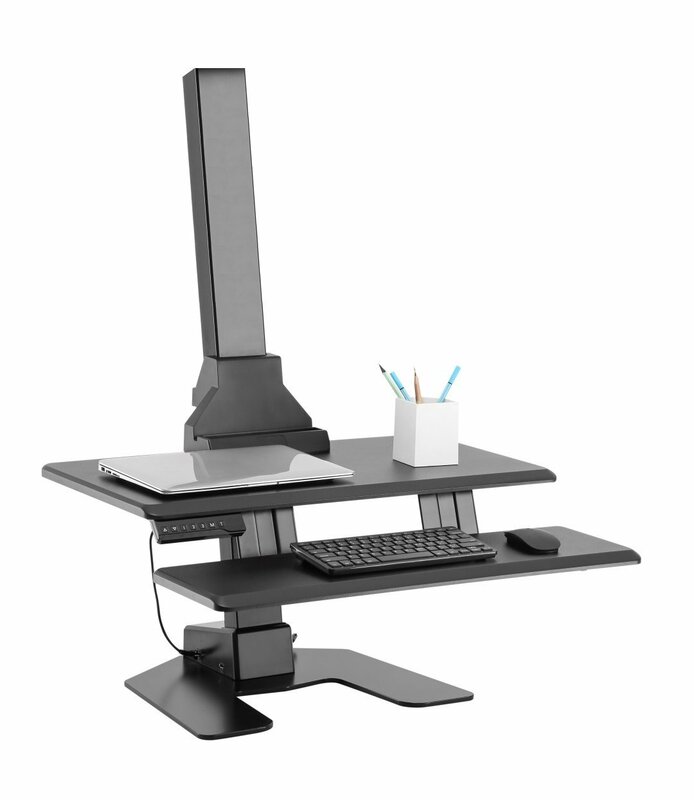 Our versatile E-Lift sit stand desktop unit converts any desk into a sit stand workstation. 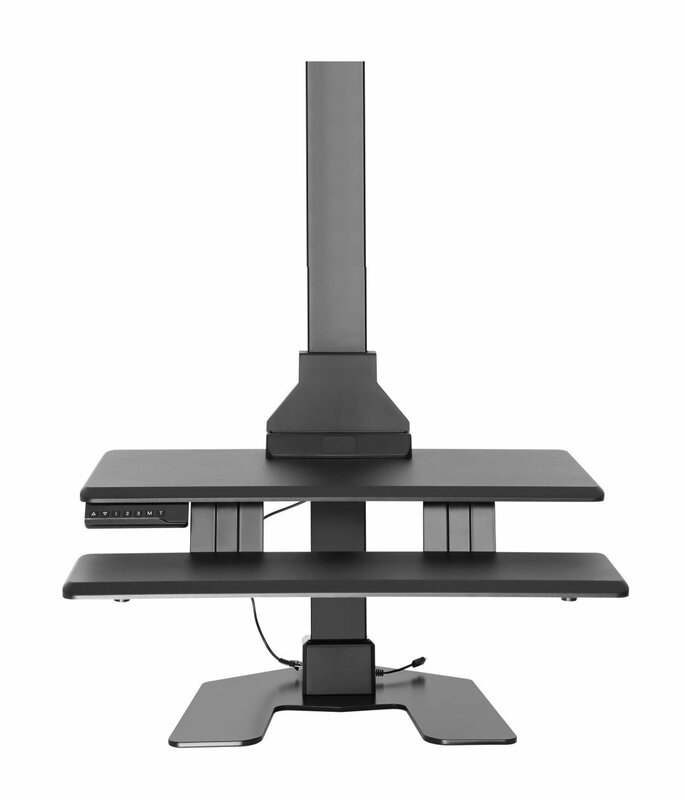 There is no replacement of existing furniture and the preassembled unit allows for quick setup. 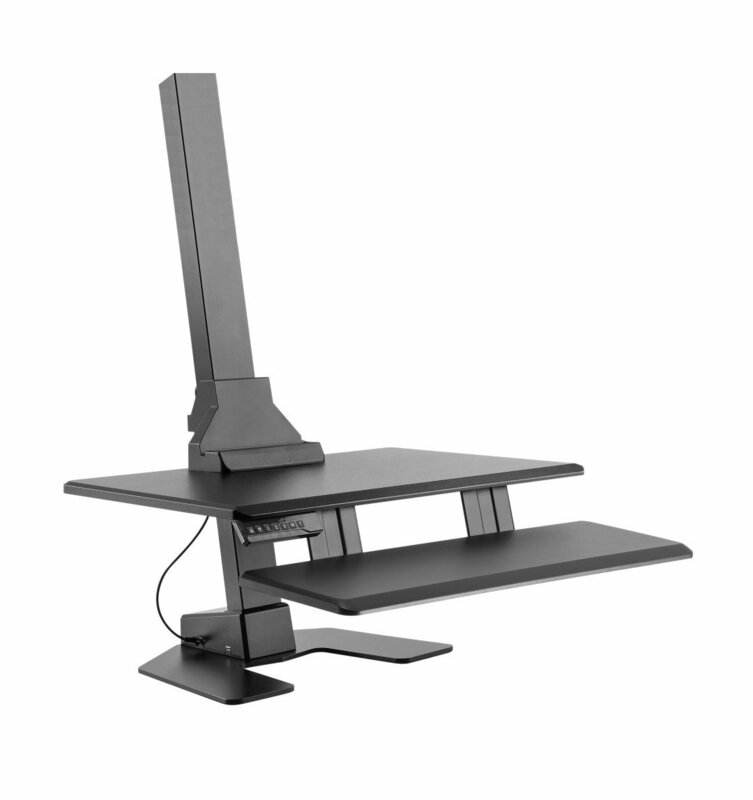 Supplied without the optional VESA mount bracket - this unit is built for laptops and workstations that don’t need any VESA mount adaptors. 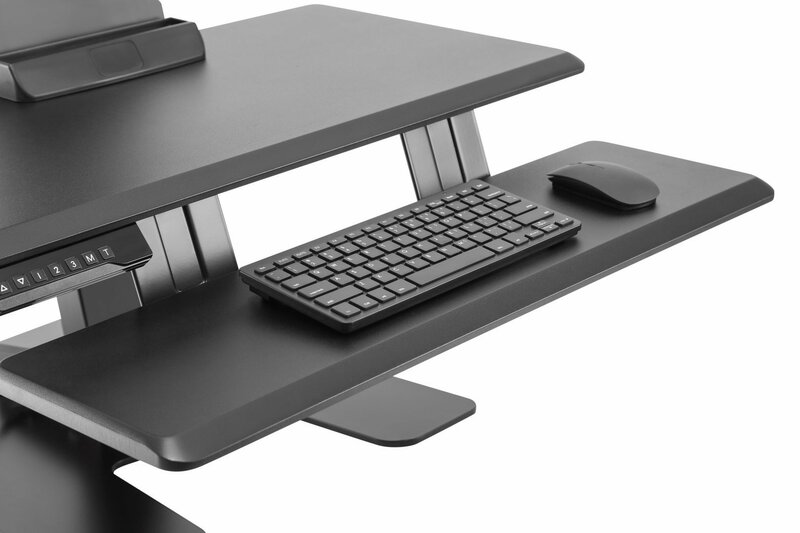 Electric, Ergonomic, Simple - can be retrofitted with VESA adaptors if required in the future. 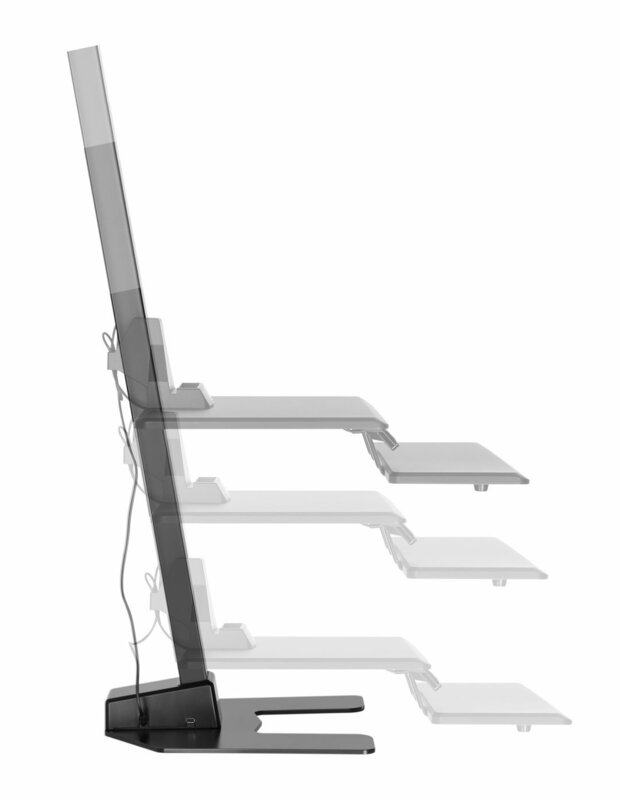 Uses a single, electric motor-driven lifting column mechanism to promote healthy posture. 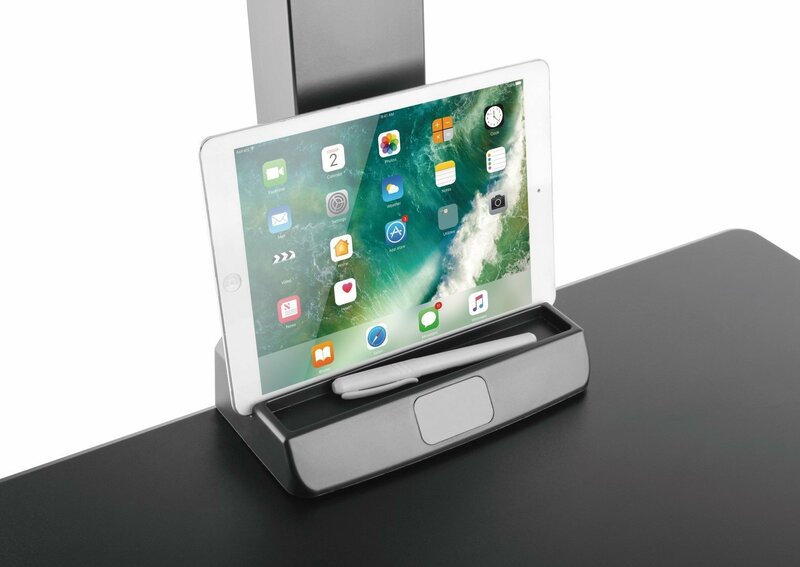 The sophisticated design avoids jams and minimises friction of internal components, delivering smooth and quiet adjustment. 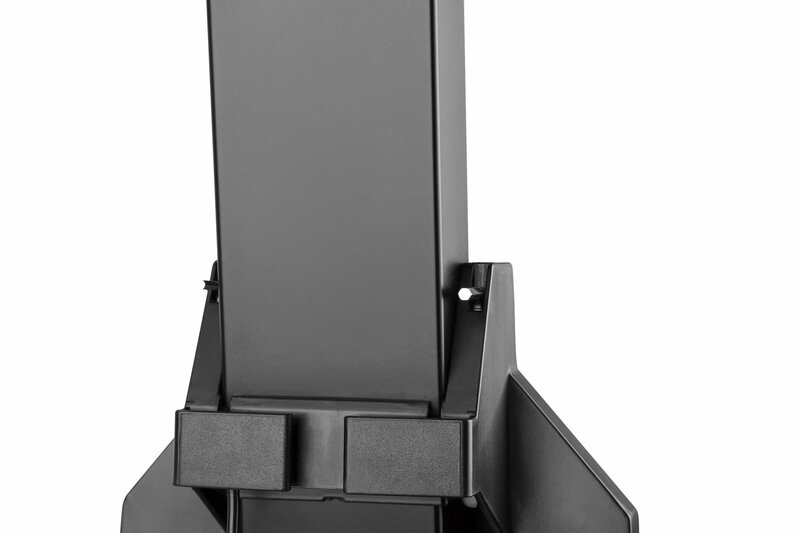 As an accessory that can either be bought as part of the E-Lift S, the E-Lift D, or if required in the future, the flexible VESA mount plate/s can be easily tilted, pivoted and rotated to suit comfortable viewing angles. 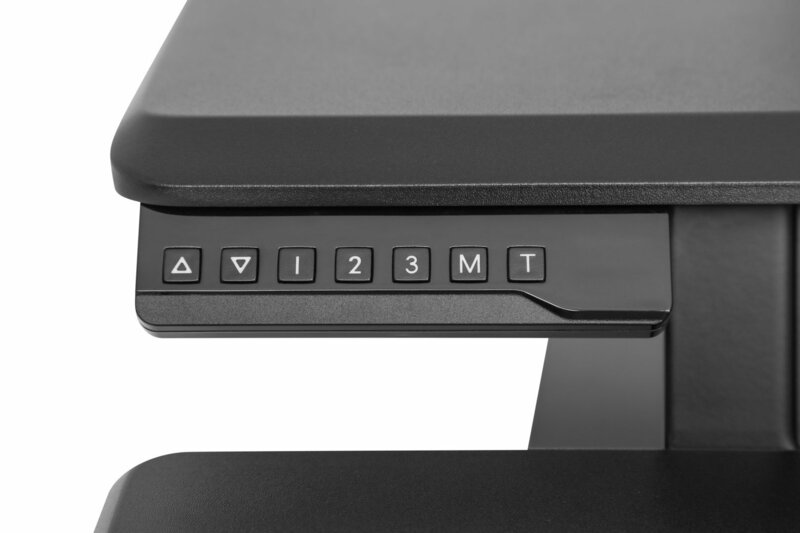 The digital control panel activates the height adjustment at the touch of a finger, the standard 3 programmable memory settings store your desired positions and the inbuilt timer function helps you to create your very own sit-stand habits.